A summer scarf might just be the most chic and easy summer accessory ever. When your outfit calls for a little something extra, but the weather won’t allow for a jacket, the scarf has you covered, pun intended. Keep reading to shop our favorites and for tips on how to style each! Take a tip from the Parisians and tie this around the handle of your bag. This yellow and white scarf is begging to be worn with denim! Wear this with grays and blues for a well-blended look. Since this beauty is full of color, choose one or two hues to focus on when putting the rest of your outfit together. For a flirty, feminine look, wear this with a pale pink or lace dress. Let this bright scarf add a pop of color to any outfit. This striped scarf will be the perfect compliment to jeans and a white t-shirt. Blues, greens, pink, white—this multicolored cover-up goes with anything! This lightweight style should definitely have a place in your beach bag. Instead of a cardigan or jacket, wear this over your shoulders on your next summer night out. Tie this around your neck for a chic nautical look. 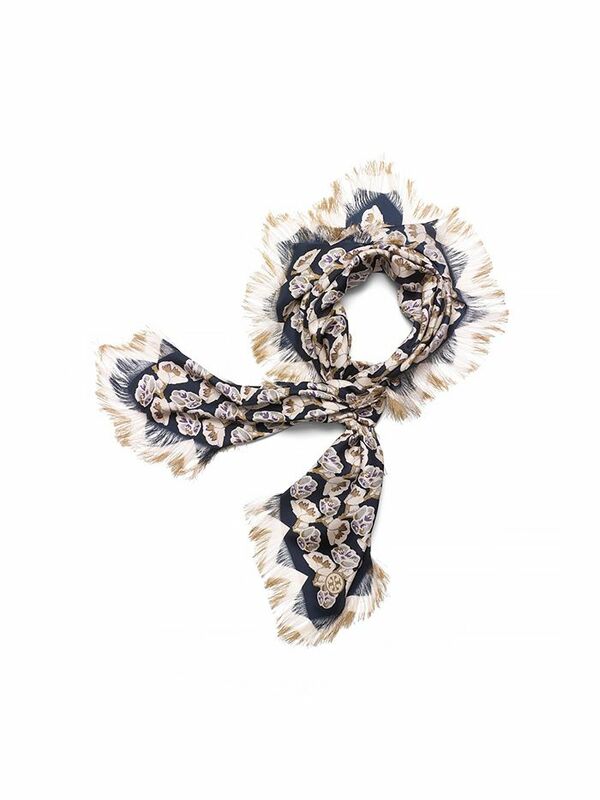 A chic python-print scarf is perfect for everyday dressing. Wear this with light colors and let the gorgeous red stand out.